The planning is a distant memory. The mad rush of entries and the intensity of judging are behind us. And the finalists’ long wait is almost over. The Prism Awards for photonics innovation will be presented at a special event during SPIE’s Photonics West in early February. Award-winning innovation is no cakewalk, but victory is always sweet. Photonics Media – a business unit of Laurin Publishing encompassing Photonics Spectra, BioPhotonics, EuroPhotonics and Photonics.com – is thrilled to join SPIE in presenting the annual awards. The level of commitment to innovation in the photonics industry is inspiring, and we enjoy meeting the talented people pushing light to its limits. A Photonics Media team has been on the road over the past two months, shooting video of the finalists. The finished videos will be posted to Photonics.com – watch for them! Rising to the challenges in today’s business climate is no piece of cake. Concern over the US fiscal future is still very much on the minds of photonics industry leaders, who say that many are putting off decisions about capital investments, concerned that spending today may seem ill-advised tomorrow as the crisis goes into overtime in Washington. 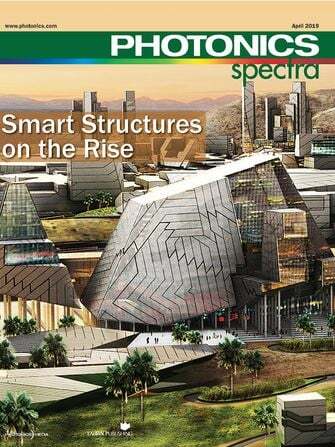 Photonics Spectra Managing Editor Laura Marshall spoke with several industry leaders for a trends piece in this issue about the global economy and its impact on photonics. Uncertainty, she heard, ultimately slows down the decision-making process and therefore business growth, but many in the industry are looking past the current fiscal crisis for new opportunities. Read her article, “Photonics Industry Undaunted by Uncertainty,” beginning on page 74. Our annual trends coverage looks at societal currents propelling the industry forward, and the economy is just one factor affecting things from the outside. Other features in this issue cover the impacts of smartphone proliferation, the environment, manufacturing, defense and population aging – and all suggest burgeoning opportunity. And, despite the questions, there are plenty of forward-looking decisions being made, including a recent raft of mergers and acquisitions. Mark Douglass, senior equity analyst for industrial technology at Longbow Research, told me recently that most companies have more than enough cash to support internal growth initiatives and are looking to enhance returns. Best wishes for plenty of cake and some icing, too, in 2013.